Before buying, please tell us your Switcher model first. Transmission power: 100mW Frequency: 411-441 MHz Built-in 2500mA rechargeable battery Tally extension can support up to 24-ways. Support the following switchers: Full series of DataVideo (Red and Green light) SONY AWS-G500, AWS-750, MCX-500, MCS-8M, MVS-3000A, MVS-6530, MVS-7000X, and so on.... Panasonic AV-HS300MC, AV-HMX100MC, AV-HS400AMS, AV-HS500MC, AV-HLC100MC, AV-HS410MC(Red and Green light), AV-HS7300MC, AV-HS450MC(Red and Green light), AV-HS6000MC and so on.... Full series of Blackmagic Design require GPI and Tally Interface Box (The original factory only supports 8-ways red Tally) , GPI and Tally Interface module developed by our company support Red and Green Tally. Roland For.A HVS-110, HVS-390HS,. The Lockit can be used in any recording situation where the accuracy of the TC generators in the different machines is not known and where a cable connection is not possible. Each machine is jamsynced and Genlocked, (if possible,) to its own Lockit which is synced to a common source before the machines start. MAKE LIVE STREAMING EASY: Connect to the Freestream app with any of your compatible devices. Upgrade audio quality with a mini plug and external microphone. BATTERIES INCLUDED: Freestream’s live video transmitter requires 14500 batteries (6). Es verwendet einen großen Umfang an integrierten FPGA-Schaltungen, einen Hochgeschwindigkeits-Mikroprozessor mit MCU und einen hochpräzisen Oszillator als Basis im inneren Schaltkreis, wodurch die Signale stabiler werden. Es verfügt über ein völlig unabhängiges Zweikanal-DDS-Signal und einen TTL-Pegelausgang und kann Signale für Sinus / Dreieck / Quadrat / Sägezahn / Pulswelle, weißes Rauschen usw. - Es verwendet einen großen Umfang an integrierten FPGA-Schaltungen, einen Hochgeschwindigkeits-Mikroprozessor mit MCU und einen hochpräzisen Oszillator als Basis im inneren Schaltkreis, wodurch die Signale stabiler werden. Six. 56" Yellow LED Displays. Six yellow LED displays (.56") provide a digital display of the Hours, Minutes and Seconds data. /- 10 Second Offset. The photos show the actual item for sale. An basic antenna is included to get you started but for optimal results you should ideally plan on using an outdoor antenna with a full view of the sky. Front-panel DIP switches allow selection of Auto-Black, Bars / Black, Interlace / Progressive, NTSC pedestal On / Off, Chroma On / Off, Tone Frequency and NTSC/PAL mode. Switchable NTSC pedestal. Color Bar Generator used for aligning monitors or checking the signal fidelity of a video system. Kramer SG-6005 Test and Reference Signal Generator, Black Burst, PAL/NTSC. TheSG-6005 has six black burst outputs for referencing an equal number of devices. Black Burst. Color Bar Output. People always bought together with. 2 x 1,1 m Q9 Kabel. 1 x 1,25 m USB-Kabel. 1 x 1M Netzkabel. 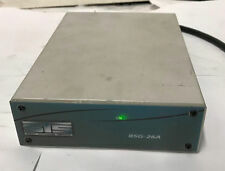 1 x FY3224S 24 MHz Zweikanal-DDS-Funktionssignalgenerator. Courtyard Sync and pattern generator. 1 x 1M Netzkabel. - Es verfügt über ein völlig unabhängiges Zweikanal-DDS-Signal und einen TTL-Pegelausgang und kann Signale für Sinus / Dreieck / Quadrat / Sägezahn / Pulswelle, weißes Rauschen usw. The Hamlet Protean Axiom is a small high definition SDI video and audio generator. 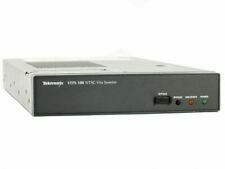 HD SDI video and embedded audio generator, 13 standards, and 16 fully compliant SMPTE. Using leading edge technology Hamlet has produced a compact, low power; hand held. No manual, cables, or other accessories. Der Frequenzbereich von DDS: 1Hz-65534hz. - Aufgrund der guten Genauigkeit und Frequenzstabilität von DDS eignet es sich auch sehr gut für die Kalibrierung des Oszilloskop-Scanning-Zeitfaktors. 1 Stück DDC Niederfrequenz-Signalgenerator. DREIECKIGE WELLE. - Spannungsversorgung: 9-12V DC Eingang oder 9V Batterie. 1 Stück High Precision Funktion Signal Generator Kit (Fertigprodukt). - Amplitude: 0 - 3V bei 9V DC-Eingang. Paket beinhaltet. DREIECKIGE WELLE. 1 Stück High Precision Funktion Signal Generator Kit (Fertigprodukt). - Frequenz: 1Hz - 1MHz. - Spannungsversorgung: 9-12V DC Eingang oder 9V Batterie. - Anstiegszeit: Weniger als 50ns (bei 1 kHz). This unit features test patterns such as Smpte Bars, Black Burst Full Field Bars, Red, Green Blue, White, Grayscale, Dots CrossHatch, and Center Cross. This item is new and unused with the original opened box with manual.